are listed as well as typical reasons why food can become a former foodstuff, for example production errors leading to broken products or surpluses caused by logistical challenges. 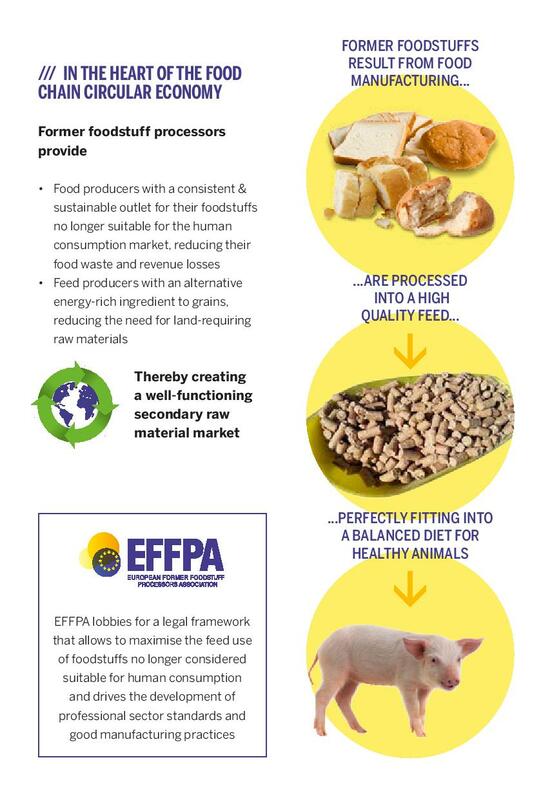 In the brochure, EFFPA tries to also emphasise what are not former foodstuffs and what type of food losses are not allowed in feed for food-producing animals. 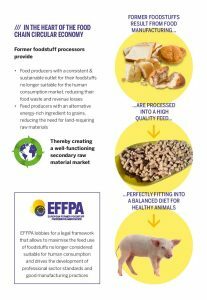 EFFPA President Paul Featherstone: “Accurately explaining what former foodstuff processors do is of crucial importance as our business activity is often misunderstood. We want to be very clear that we are not competitors to food banks and we are not food waste recycles. Former foodstuff processors are responsible feed business operators, respecting Feed Hygiene Legislation and the General Food Law, as well as HACCP requirements”.